Sunflower Peek on Blue. Bold and colorful sunflower peeking out against a rich blue background. 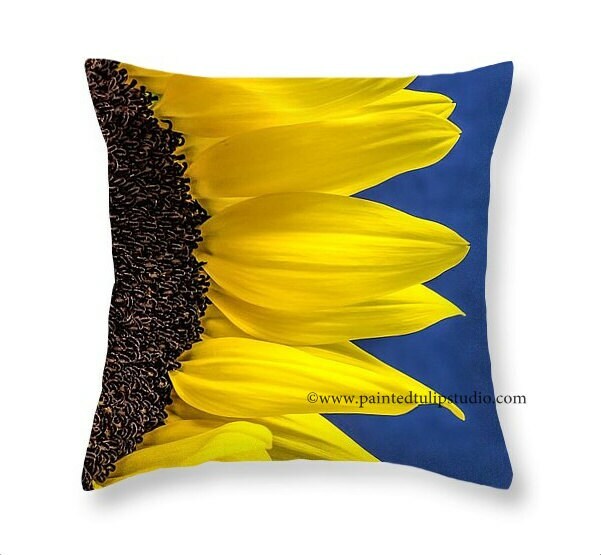 Fine art image square pillow home decor. Image is printed on both sides. Sizes are in inches. First image is a digital mockup and is representative of what the pillow will look like. The actual pillow will be softer and a touch less saturated than an art print due to the 100% cotton material, which feels wonderful by the way! 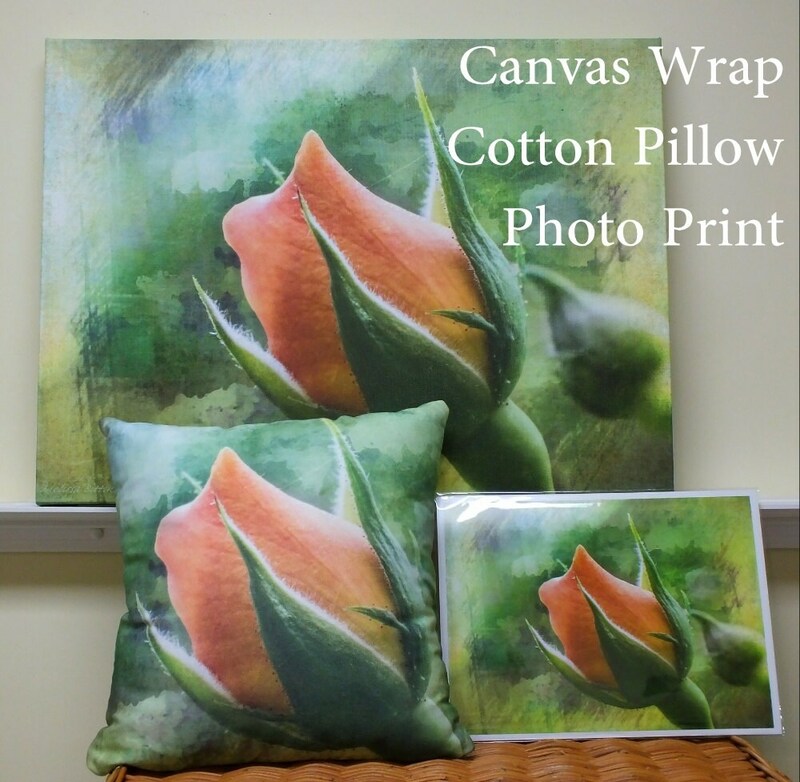 Please see last image to see how color and details are a little softer and a bit lighter on cotton pillow compared to a photo print and a canvas wrap. Hidden zippered closure. Hand wash or spot clean only. Lay flat to dry. Pillow insert is polyester filled.